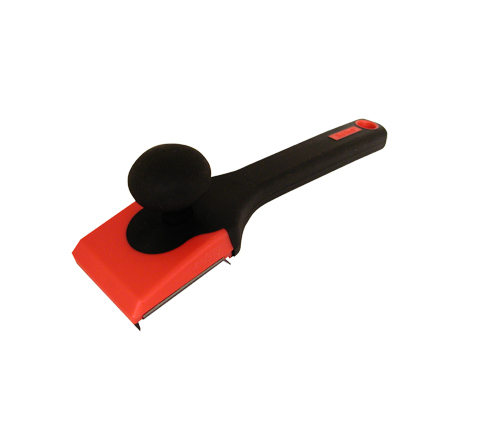 Contoured handle offers comfort and easy-grip knob enables user to apply two-handed pressure to blade when scraping difficult areas. 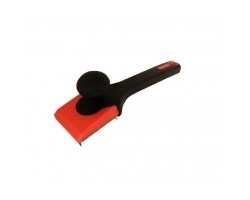 Heavy-duty black polypropylene handle is extremely durable. Ground 4-edge, high carbon steel blade lasts through tough jobs. Replacement blade for four-edge wood scrapers. Ground four-edge, high carbon steel. Use with Red Devil Heavy-Duty, Four-Edge Scraper No. 3170.